NEW JERSEY— The Italian American ONE VOICE Coalition – the nation’s largest Italian American Anti-bias organization – has launched a campaign asking advertisers to pull their sponsorship from Fox News’ “The Five,” following numerous remarks by a panelist who has stereotyped and slurred Italian Americans. 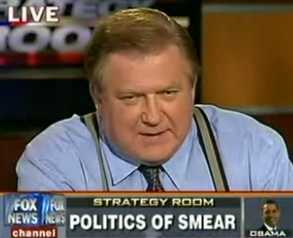 The panelist, Bob Beckel, a former political consultant with a checkered past and penchant for making highly inappropriate and offensive remarks on the Fox News’ show, “The Five,” has made offensive and stereotypical remarks toward Italian Americans on at least several occasions during the past year. Neither Beckel – nor Fox News – have acknowledged or addressed numerous emails and calls by ONE VOICE Coalition members regarding the bigoted remarks. In the past, Beckel has notably addressed and apologized for bigoted remarks he has made about other ethnic groups. DiMino noted that members of ONE VOICE have already begun targeting the following advertisers on “The Five,” asking them to remove their commercials: Toyota, Joseph A. Banks, AARP, Verizon, Binder & Binder, Merit Financial, Comcast, Shriners Hospitals for Children, Salonpas, Wounded Warriors, Goldline.com International, Roseland Capital, and Humana.